Our No. 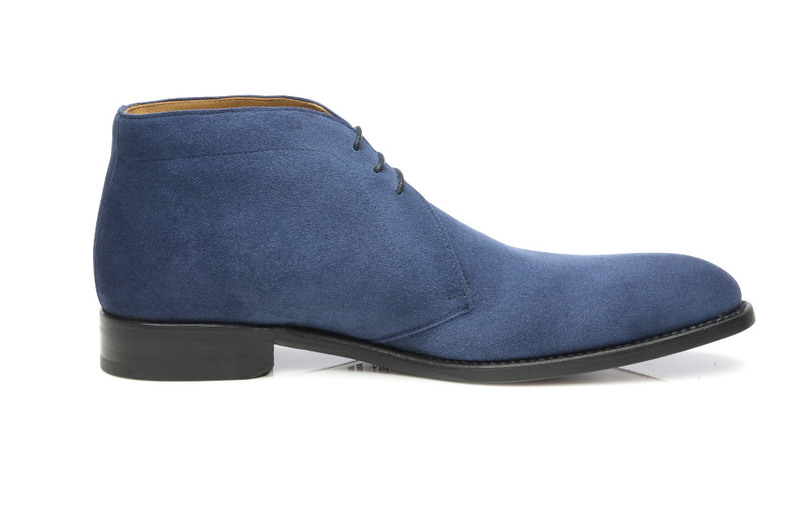 604 is a blue suede boot, made of finest velours leather. Crafted in the traditional Goodyear-welting method this chukka boot is equipped with three-eyelet tabs. 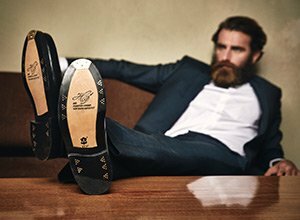 Normally these special men’s boots have a crepe rubber sole, ours is made of high-quality leather as well. 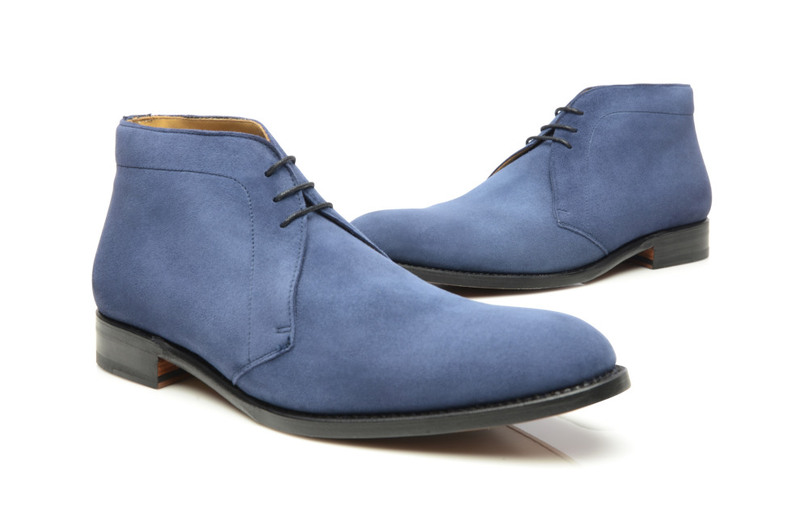 The dynamic design enhances the flexible and comfortable character of our blue suede boot. 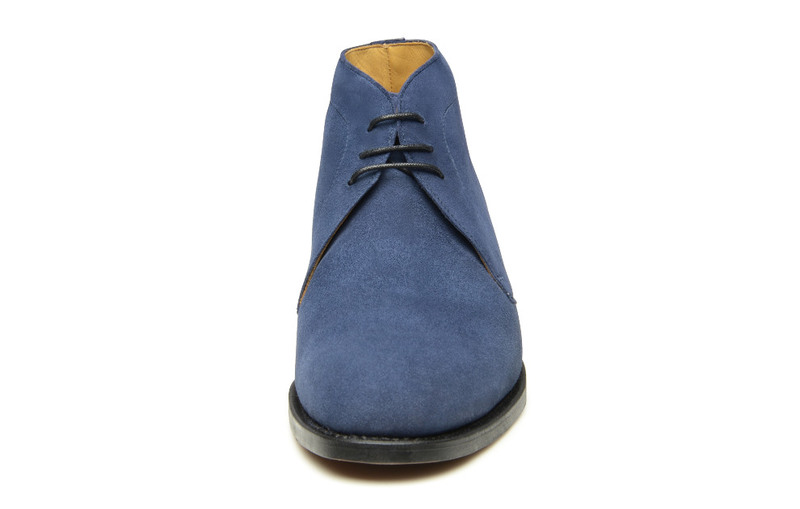 This blue suede boot goes back to a classic chukka boot, an ankle-length boot with two or three pairs of eyelets, running up the open closure. 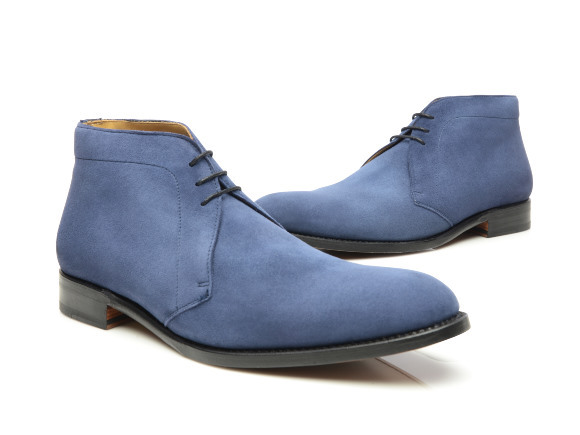 Usually chukkas are made from calfskin or suede, as you can see with our No. 604. They became popular in the late 1940s and 1950s as a casual men’s shoe. 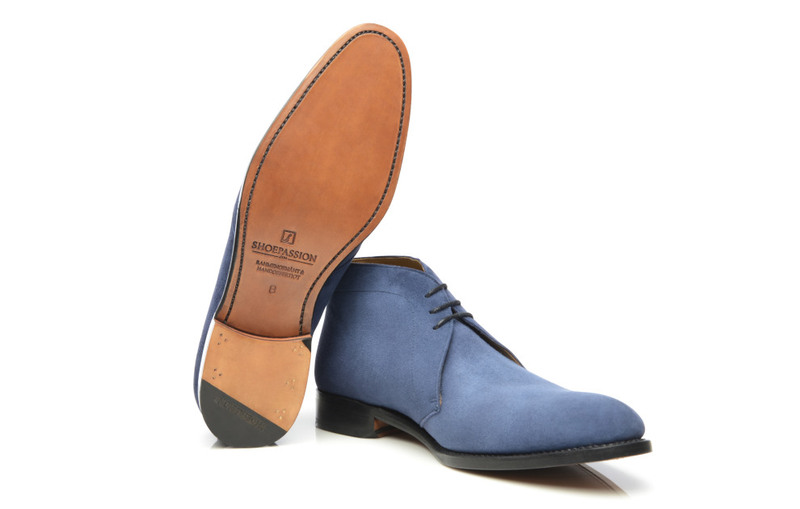 The term “chukka” comes from the name of the different periods of play in polo and the shoe was in part popularised by the sport’s players . It was the duke of Windsor though who wore these boots during formal occasions at the beginning of the 20th century and helped cement their place in the modern man’s wardrobe. 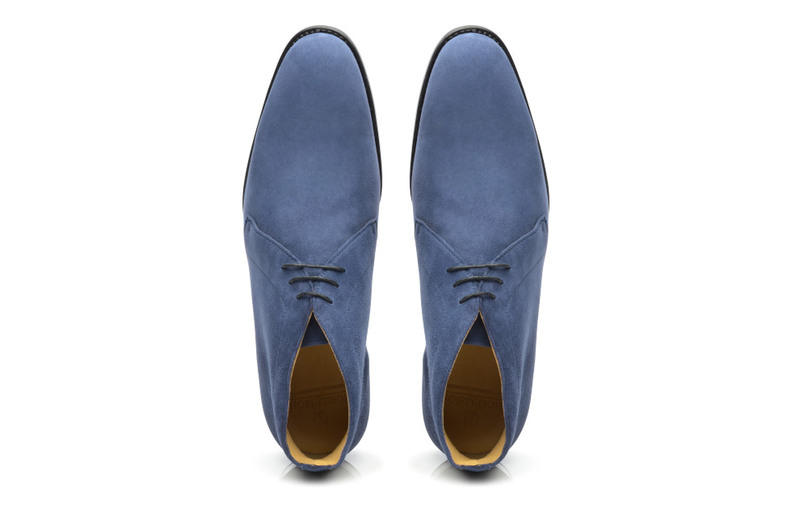 The upper is crafted from dyed blue velours leather, while its inner linings, insole, outsole and heel are made of vegetable-tanned cow leather. 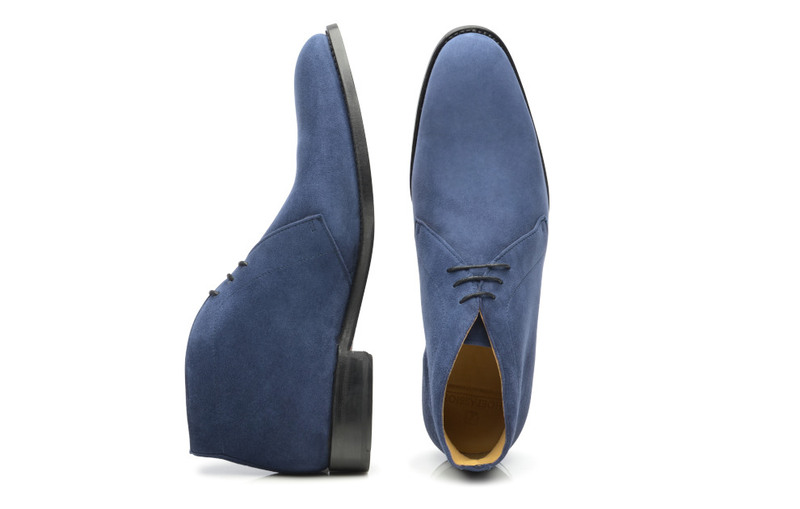 Of course, like all our footwear, our blue suede shoes are also Goodyear-welted, using one of the oldest methods of shoe manufacture still used today. During the Goodyear-welting process the welt is stitched to the upper and the rib by means of a chain stitch. 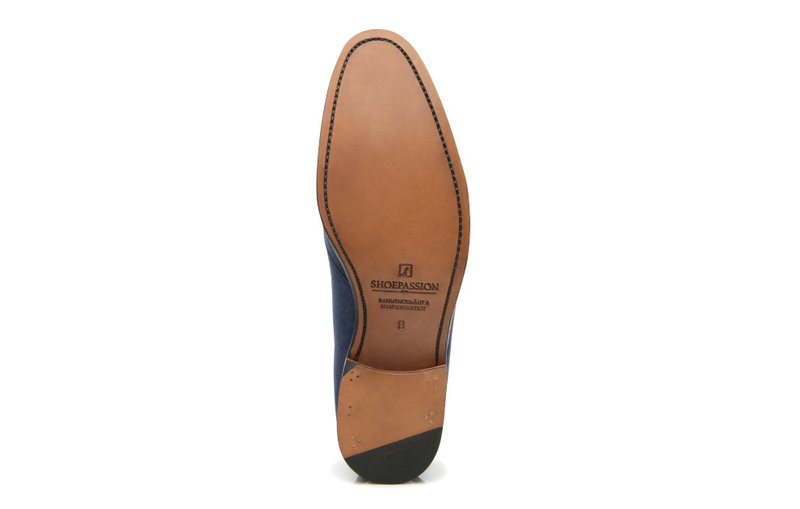 This traditional process promises support, breathability, cushioning and support, whilst also allowing the shoes to be easily resoled. That means you can them looking perfect, year after year. 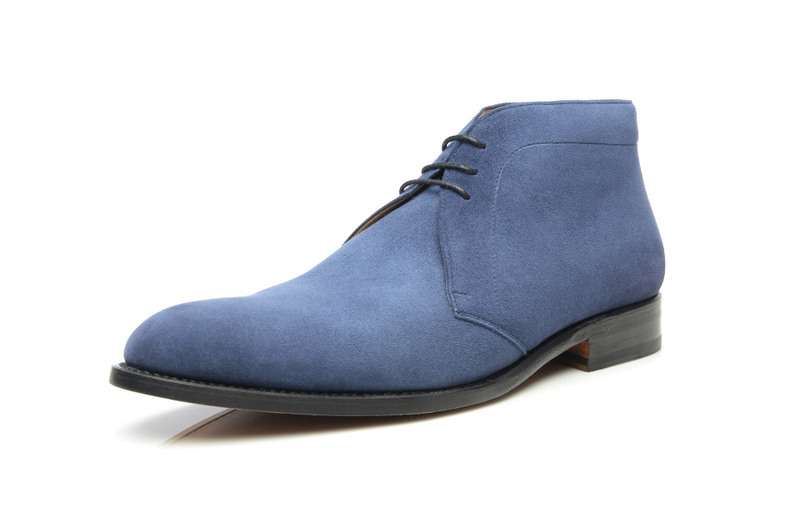 The blue suede boot is a more casual men’s shoe, characterised by the blue suede leather. It is not the best choice for a very formal environment, but looks great with tweed and cord. 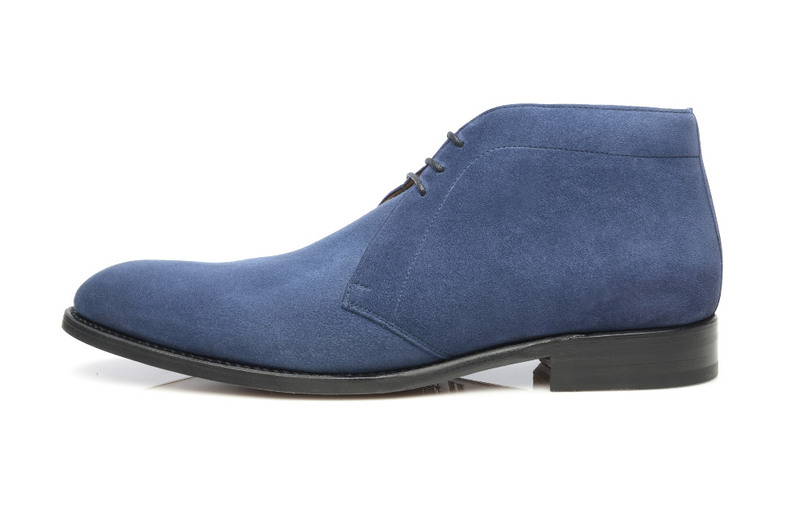 Add some edge to your wardrobe with this blue suede shoes. 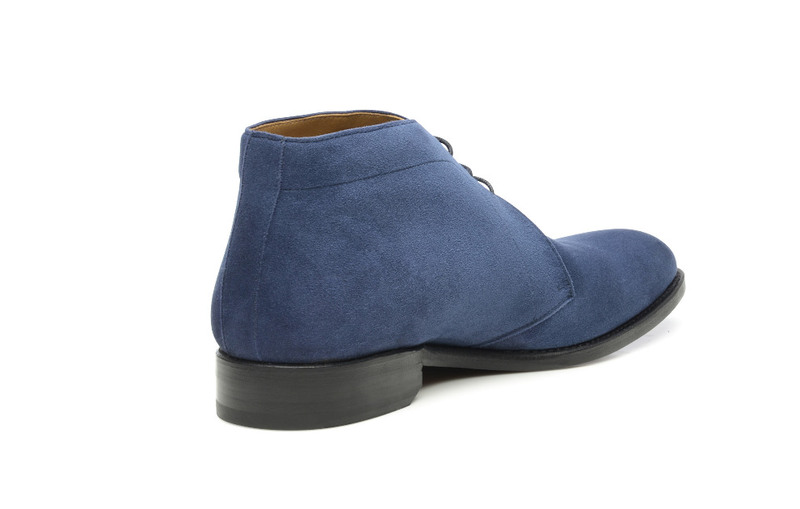 Ankle boots are characterised by an ankle-high vamp, a high-cut lace style and, in some cases, elasticated panels. Since the 19th century, these comfortable slip-in shoes have been an indispensable piece of men’s footwear and are the ideal choice for inclement weather. Finer in appearance than boots. Similar to the classic last, but slightly narrower at the toe—a subtle difference. This type of last is distinguished by its balanced design and elegant appearance. It is ideal for those with relatively high insteps. Processed velours is an extremely fine, fully-dyed type of rough leather that is taken from the flesh side of the hide. Velours is extremely soft and resistant to soiling. 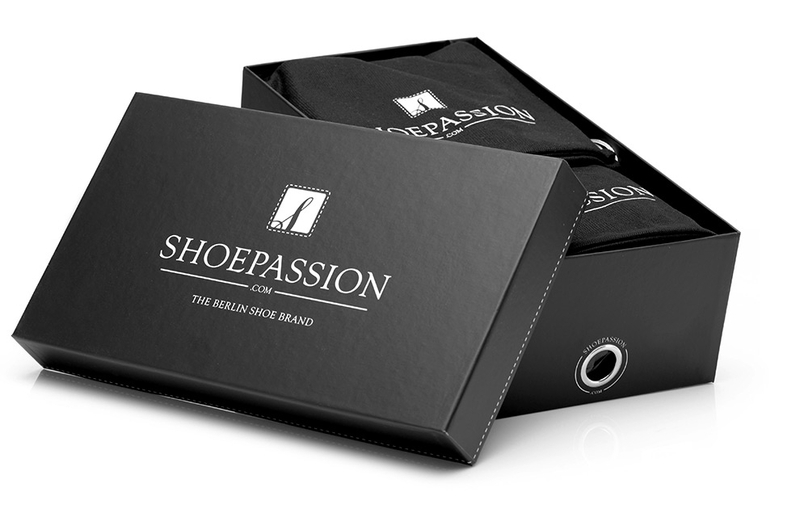 It is easy to care for; regular brushing with a suede brush suffices to keep your velours shoes in good shape.